High quality Silybum marianum (or Carduus marianus) seed tincture. Soil Association organic certification GB-ORG-05. This item is in stock and ready for despatch. 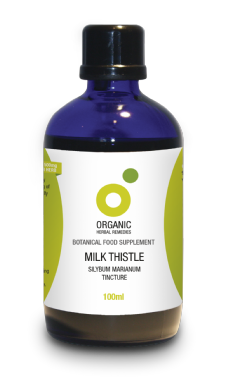 Our product contains only the finest quality organically produced tincture of fresh milk thistle seed. Our specification is the same as required by many professional herbalists. 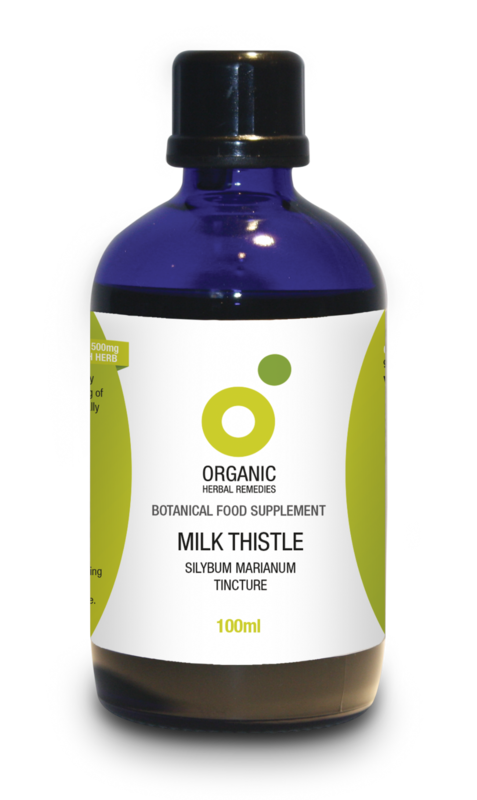 The tincture strength is high with a ratio of milk thistle herb to pure grain alcohol of 1:3. 1ml is the equivalent of 333mg of herb. We use alcohol as that is the most effective method to extract the synergistic benefits of the whole herb. Some people prefer to take our tinctures in fruit juice. Manufactured and bottled in the UK to GMP approved standards. Herb sourced from Europe. Contains 45% organically produced pure grain alcohol.